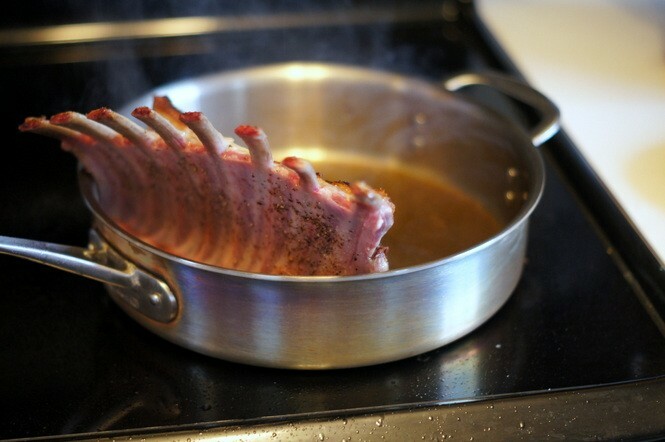 I think that when many of us hear "rack of lamb" we're thinking of an elegant, special occasion meal. 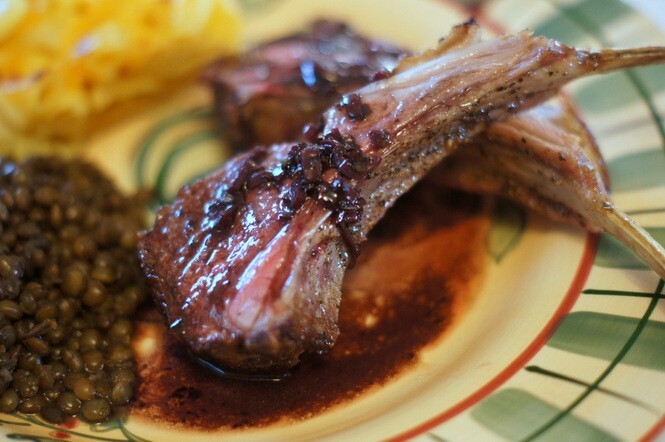 However, cooking a rack of lamb is one of the easiest things you can do in the kitchen. 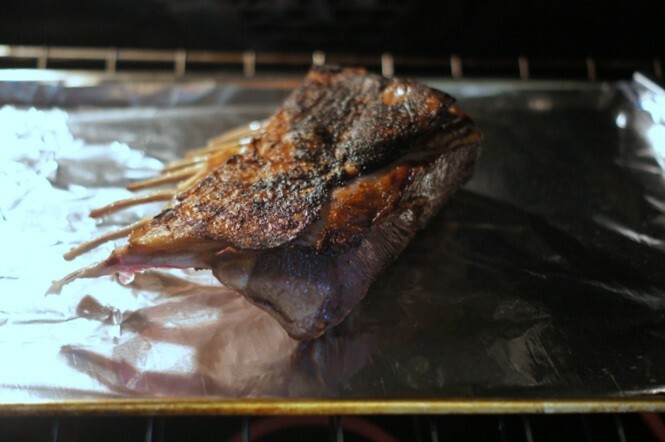 This recipe and method for searing and roasting a lamb rack requires only a couple of ingredients and the simplest technique, so try it! Move an oven rack to the middle-low position in your oven. 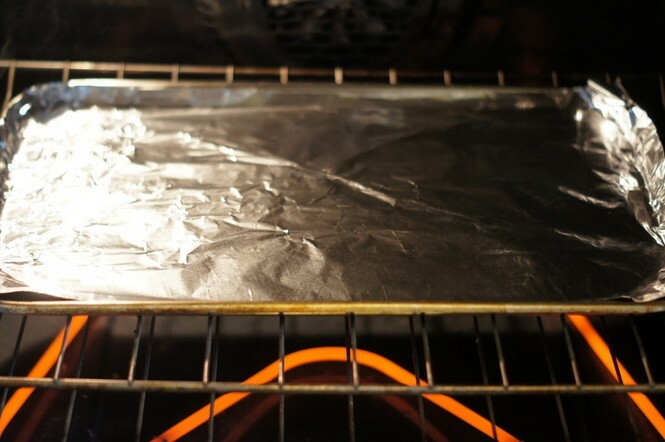 Place a rimmed baking sheet in the oven. 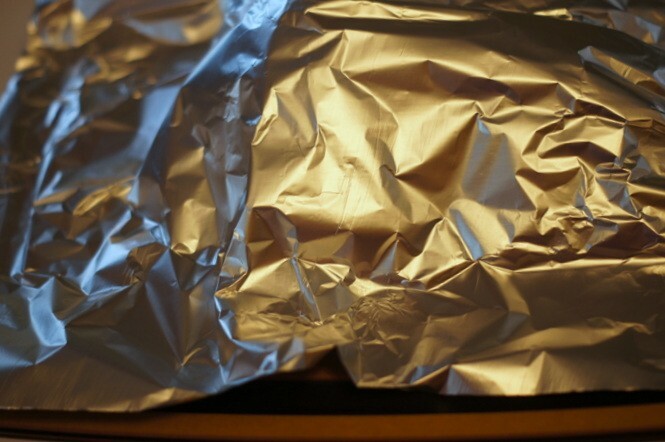 I like to cover my baking sheet with foil for easy clean-up. Liberally season the rack of lamb on both sides with salt and pepper. Heat the oil in a large skillet over high heat, almost to smoking. 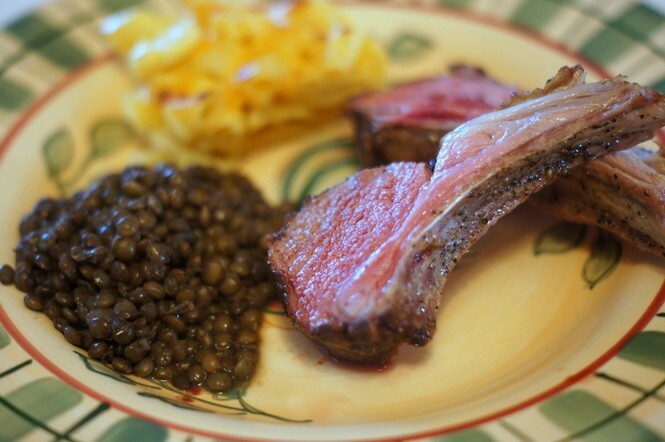 Sear the rack of lamb in the skillet on both sides until well browned and the lamb has a nice crust. 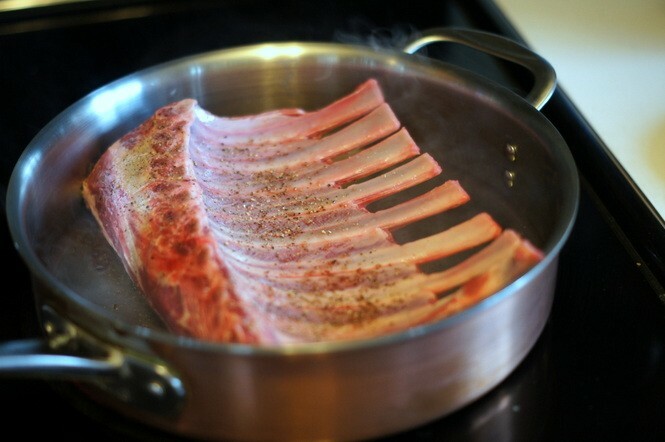 Tip the rack on its end and sear the meaty end pieces (the chops) until well browned. 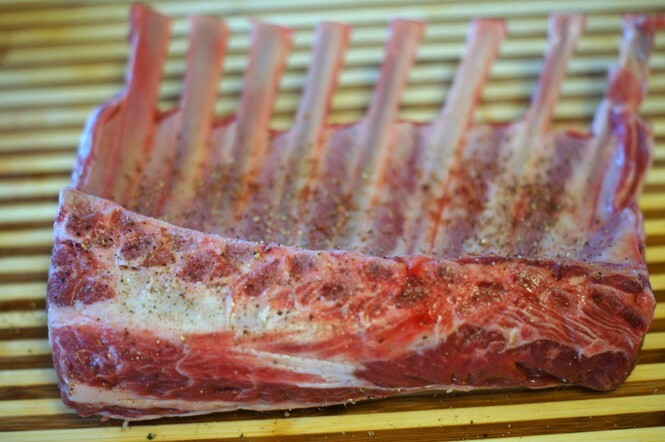 Using tongs, place the rack of lamb onto the preheated baking sheet in the oven. Roast the lamb in the oven for about 13-15 minutes for rare to medium-rare or longer if you want your lamb medium or well-done. 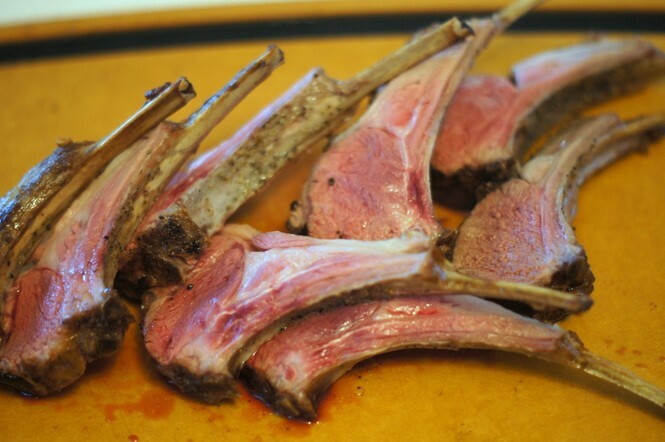 Remove the roasted lamb rack from the oven and place onto a plate or cutting board. Tent the rack with foil and allow it to rest for 8 to 10 minutes. 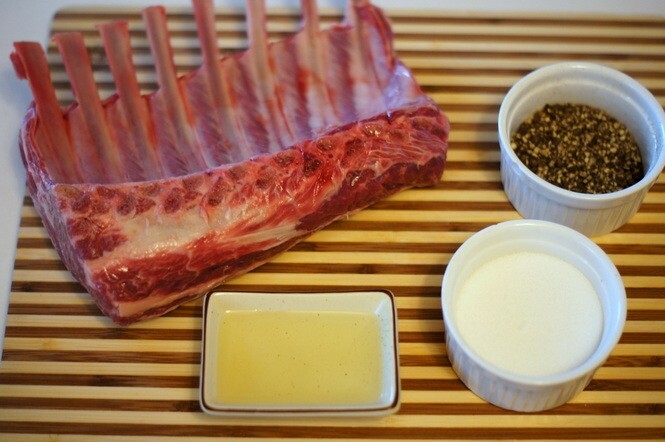 Cut the rack into 8 rib chops, slice between each rib and serve as is or with a simple pan sauce.